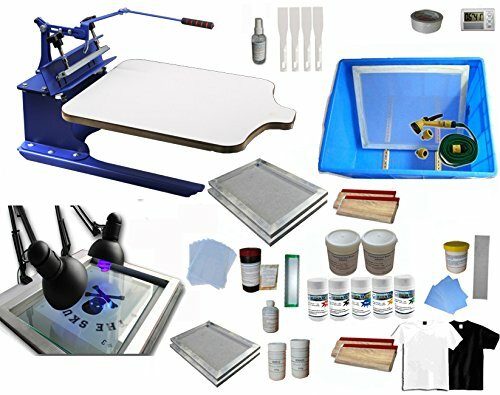 Applications: It can be applied to costume, woven fabric, metal, paper, copybook, plastic, wood, glass, ceramic, leather and other products which need flat printing. They are especially suitable for small enterprise and individual use. Using the lever principle to control the handgrip, lift up the screen frame and hook it. Adjusting the adapting piece to lift up the screen frame at a angle of 30-45 degree. Put up the handgrip will lay down the screen frame. The handgrip could be moved with 5.5" (14cm) in the horizontal direction, suitable for the screen frames which size is less than 23.6" (60cm). Max thickness of screen frame clamp is 0.78 " , it could be adjusted according to the thickness of the substrates. Specially designed sliding-adjustable disc gravity and gravity hole devices for extra heavy frames. The equipped platens are much bigger than the normal ones, which is especially suitable for signboard and spa signage printing. The platens are environmental and made of high density melamine materials, anti-distortion, water proofing, corrosion resistance and easy to clear.